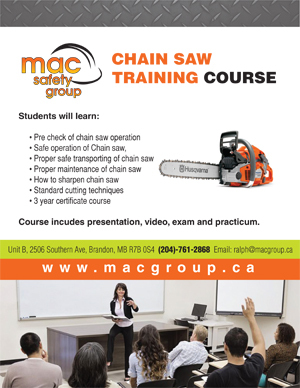 Chain Saw Training MAC Safety Group. MAC SAFETY GROUP is proud to offer a Chain Saw Training course. 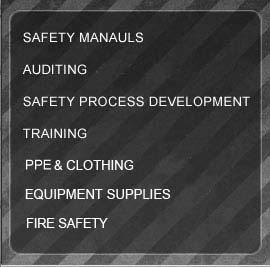 - Know which PPE to wear. - Use chain saw brake. - How to sharpen chain saw chain. This course includes the facilitation of training material including a PowerPoint presentation and video. Student is required to have an 80% for a pass, which equals to 10/12 to pass this course. 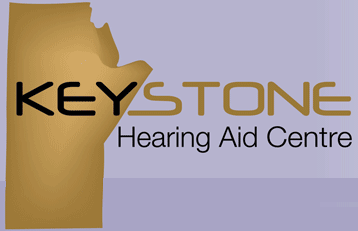 Student will perform a practicum portion during this course. The chain saw is perhaps one of the most dangerous machines that an operator of the various services will have to work with. Because a chain saw is a high-speed woodcutting tool, some special safety precautions must be observed, as with any other power saw, to reduce risk of personal injury. Careless or improper use may cause serious or even fatal injury. The chain saw has large, sharp cutters. If the cutters contact your flesh, they will cut you, even if the chain is not moving. Material Covered in our MAC SAFETY GROUP Chains Saw Training Course.